When do I receive my invoice? 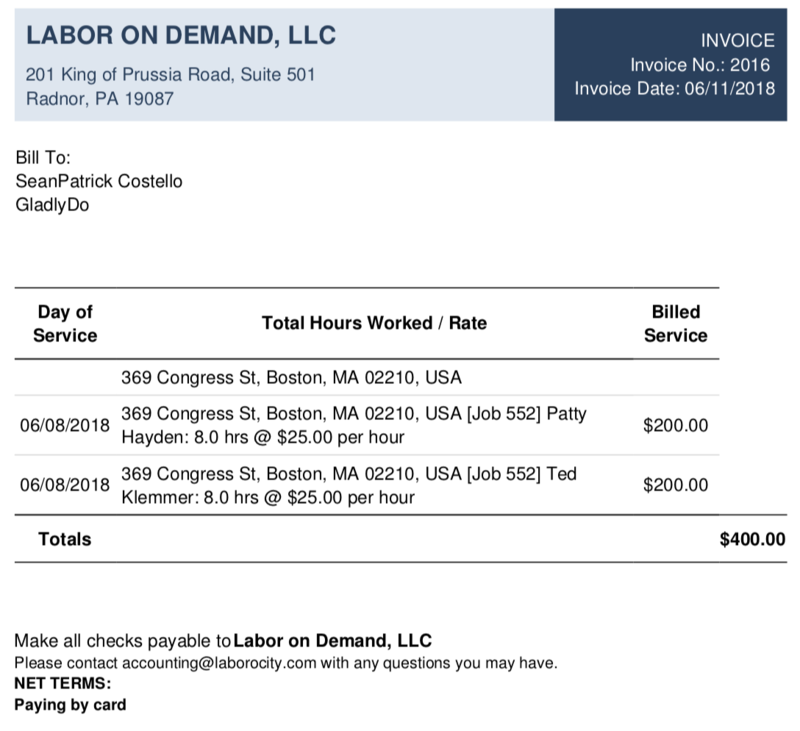 Our billing period is Monday through Sunday and you will receive invoices WEEKLY via email as a PDF for your jobs completed the previous week. If your account is set up to pay by Credit Card or Online Check (ACH), your payments will process automatically after you receive your invoice. All payments are required to be made by the Due Date listed on the invoice in order to continue future service.